Well, we have just finished our first week of the Camino de Santiago and it has been an amazing journey already! We have been consistently awed by the beautiful landscapes we encounter each day and challenged in ways we never imagined. Before we get to the distance summary and our personal reflections, we just want to remind you of our challenge to you. Remember, it’s two-fold. 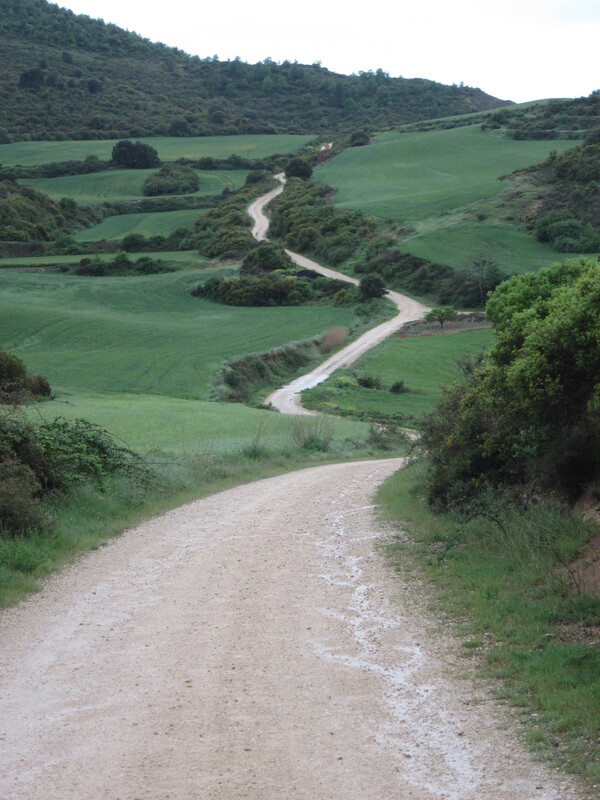 First, we want you to get active or improve your diet or both for at least as long as we are walking the camino. Second, we are trying to raise $800 (roughly $1 per km walked) for the Canadian Diabetes Association. We’re already 10% of the way to this goal financially, though we’ve surpassed that in distance… we’d love it if you could donate a dollar or two, if you have them to spare. 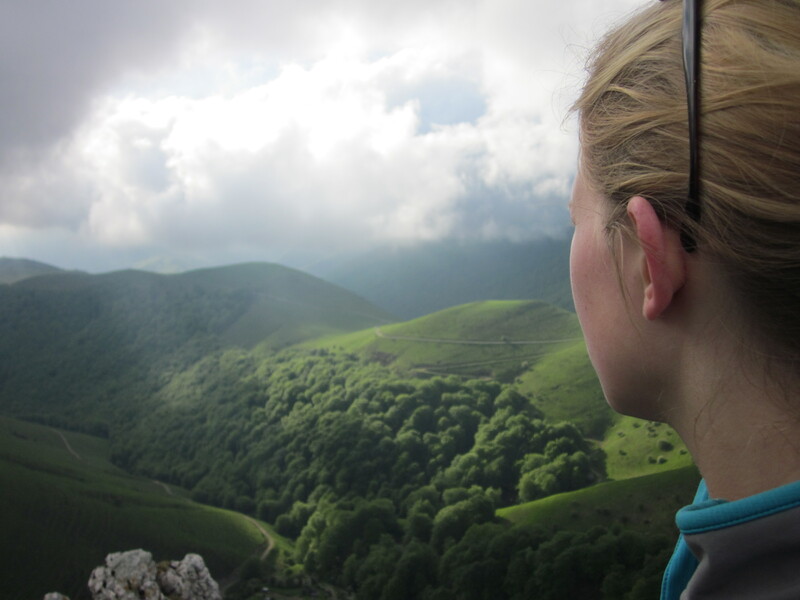 Getting ready for the Camino seemed like an easy task. 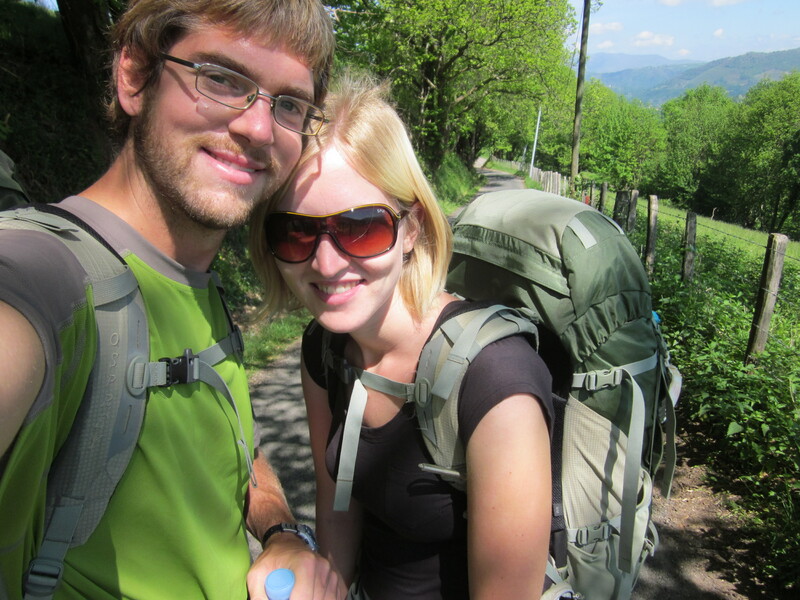 We just needed to be in reasonable physical shape and downsize our pack weight a little bit. 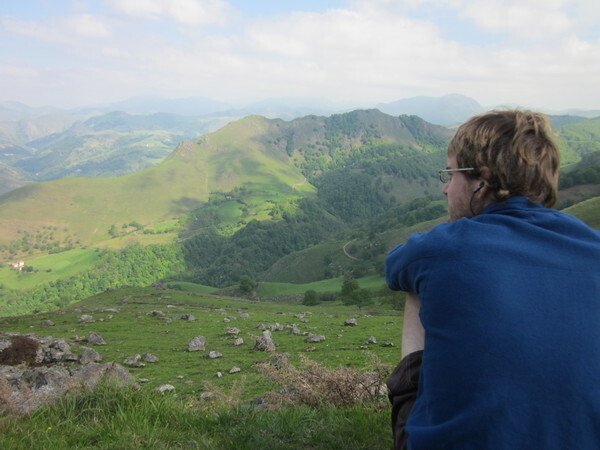 We spent the better part of two weeks prior to arriving in St Jean-Pied-de-Port walking 6-8 hours a day through the cities of Barcelona and Paris. It seemed to me that my feet were well calloused, and my legs were having no troubles at all. Physically I was ready. Downsizing our packs was much harder. We gave ourselves about an hour in the morning on the day we started the Camino to buy groceries and mail off all of our unneeded items. We spent about $100 on shipping and holding fees to send 9 kg of stuff in two boxes on to Santiago. We could easily have filled another box, but the items weren’t worth the cost of shipping, yet they were worth too much for us to throw out. So we are carrying a bit more than we need. After a few days of blissfully delightful walking through the stunning scenery of the Pyrenees, I learned the hard way that a backpack heavier than it needs to be combined with being overconfident about the toughness of my feet could only lead to one thing. Blisters. Despite the pain of the blisters, I’m still really enjoying the walk. For the first time in just over 10 months, it’s been quiet enough to listen to music on my MP3 player, so I have. Central America was loud no matter where you were, and the cities of Paris and Barcelona were just as noisy. 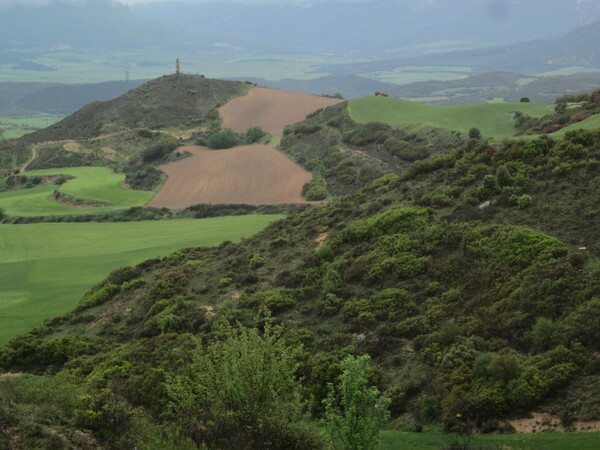 Road traffic, machinery, loud bugs… but here in rural France and Spain, it’s quiet. I didn’t realize until now how much I’ve missed listening to music. It’s been really nice. Wow! I can’t believe it’s already been a week since we started this journey. So far, I have to say this is one of the most amazing things I have ever done… I spend each morning walking through some of the most spectacular landscapes I have ever seen, with the love of my life at my side. What can get better than that? We’ve pretty much got a routine established… We wake up at about 6 a.m., make breakfast and pack up our things. We’re on the road between 7 and 7:30 (any earlier than that would be too chilly… one our biggest surprises was how cold it still is here!). We walk until 12:00 – 1:30 most days… our arrival time depends on whether or not we stop for a break along the way. The best days are when we stop for an early lunch of fruit and bread late in the morning, before continuing on to our destination. When we arrive, the first order of business at the hostel is to tend to our feet, shower, hand wash our clothes, and stretch. Then we relax… we make our own lunch and supper, buy groceries, read, write, and visit with new friends. We go to bed between 9 and 10, then start the whole thing again the next day. Physically, I have been pleasantly surprised by the strength of my body. I expected to be sore and aching all the time, feet riddled with blisters. On the contrary, my muscles feel great and I only have the tiniest of blisters on one of my toes. We have been fuelling ourselves with insanely healthy food, so I have all the energy I need to get through each day of walking. Daily stretches have kept my muscles limber. My left knee has started aching a little bit, but it doesn’t seem to slow me down. Even in crowded dorm rooms, every night brings a deep and rejuvenating sleep. The most challenging aspect of this week for me has been the helplessness I have felt with the condition of Mike’s feet. He was in a lot of pain on Days 4 and 5 and there was little I could do to help him besides doing the grocery shopping and fetching items for him to keep him off his feet. Mike is typically the rock in the relationship, so it has been difficult for me to see him struggling. For me, Day 7 was the first truely challenging day… physically and mentally. While my body was strong enough for the distance, we had to walk the entire 21 km in the rain. About halfway in, my pants and socks were soaked through and my spirits were low. Luckily, a couple of things happened… First, a couple of gents from London sauntered by, reminding us that the weather wasn’t so actually that bad (“it’s liquid sunshine!”) and that we didn’t have far to go. One of them shared some chocolate with us before parting ways. Then, (with a little reflection on the Buddhism book I’m currently reading), I forced myself to realize that I was wasting the experience by worrying about things that hadn’t happened yet (like the blisters I expected to get on my wet feet – though never did) instead of taking in the beautiful landscape around me. With Mike beside me, I decided to embrace the rest of the day’s walk and really enjoyed the last few kilometres. As for me and Mike, our relationship has never been stronger. I have never felt as close to him as I do now, even if we’re stuck sleeping in separate dorm beds. We look after eachother on the road, and have gotten in the habit of stopping to tell eachother “I love you” or giving one another a kiss every once in a while. He helped me get through the difficulty of Day 7 and I couldn’t imagine doing this without him by my side. 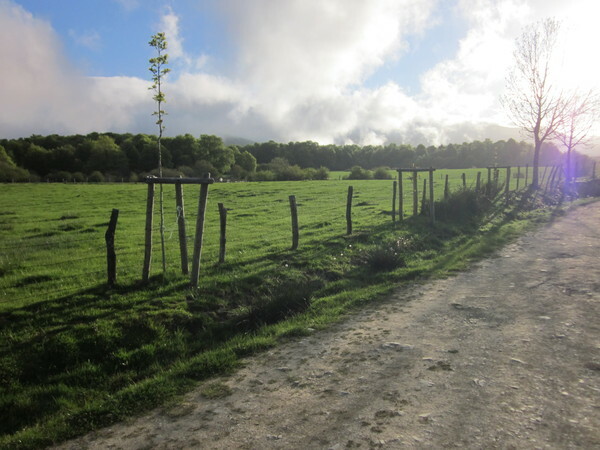 Camino de Santiago – We Made It to Santiago, But We’re Not Finished Yet! Sounds like a fabulous adventure! I look forward to hearing more. Thanks Talon! This journey has definitely surpassed my expectations… I can’t wait to see what else it brings! It’s a dream of mine to make this walk. Looks wonderful. I’ll be keeping up with you every step of the way! Thanks! Thanks Justin! I hope you make the dream come true one day… it’s an amazing experience. The scenery is beautiful, you two look awesome, blisters…not so much…hope you overcome! It’s so good to hear from you Mom! 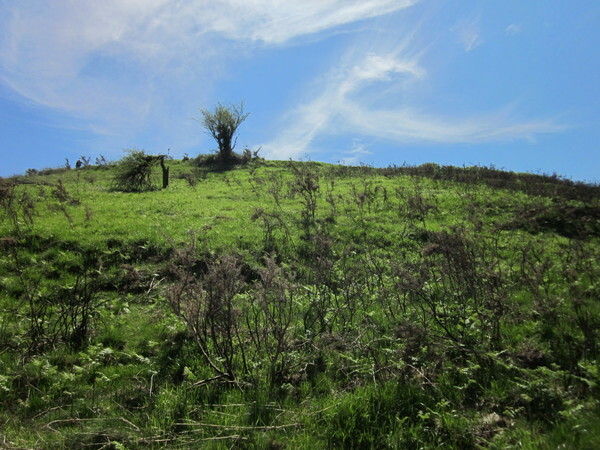 Mike overcame the blisters and I overcame my sore knee, but now he has a cold… it seems that each week is hell bent on bringing us a new challenge! Miss you! Minus the blisters, it looks like an amazing journey you are having! Thanks Annette! They say your not a real pilgrim until you get your first blister… we sure don’t have to worry about that! We sent a whole list of questions to people we knew who had walked the camino before us, and would love to return the favour. Ask away whenever you are ready, and say hi to Jenny for us. Have you yet reached Granon?